Netanyahu congratulates Brazilian President-elect Jair Bolsonaro on win, says he will bring closer ties between the two countries. 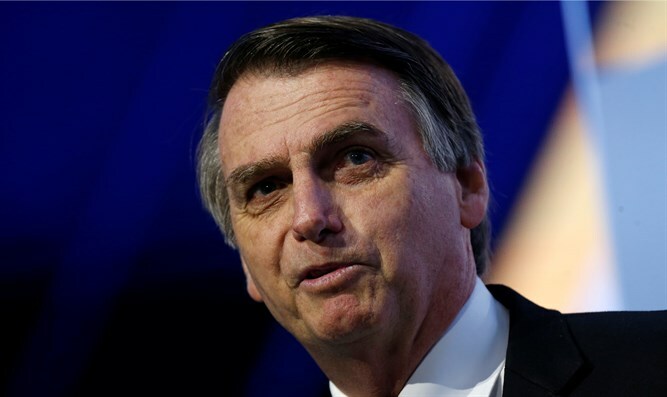 Israeli Prime Minister Binyamin Netanyahu congratulated Brazil’s President-elect Jair Bolsonaro Monday night, a day after Brazilians voted Bolsonaro into office. According to a statement released Monday night by the Prime Minister’s Office, Netanyahu spoke with Bolsonaro over the phone Monday evening, and invited the president-elect to visit Israel. During the campaign, Bolsonaro vowed that if elected, he would move his country’s embassy in Israel from Tel Aviv to Jerusalem. Bolsonaro also suggested he would shutter the Palestinian Authority’s office in Brasilia.